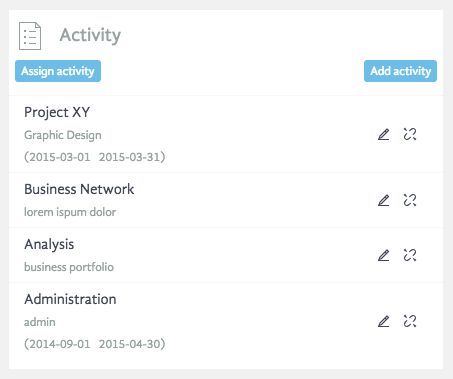 With task management, an administrator or a team leader can assign different work tasks to every employee. This means than an employee can visualize his /her work responsibilities for a specific day / week / month just by accessing the application. This eliminates unnecessary emails between supervisor and employee and enables real time control of work situation. Once an administrator generates tasks that a certain employee needs to complete, at the end of a work day, while clocking out, the employee sends a feedback about a work he has done that day. As we can see in the first picture, it is possible to “Create a task and assign a task. In case in which a task already exists and it is necessary to assign it to a certain user it is necessary to click on “Assign task” and enter required information (name, detail). In case in which an task does not exist it is necessary to create it first and then assign it to an user. In the third picture we can see the process of task generation and required information (name, detail). 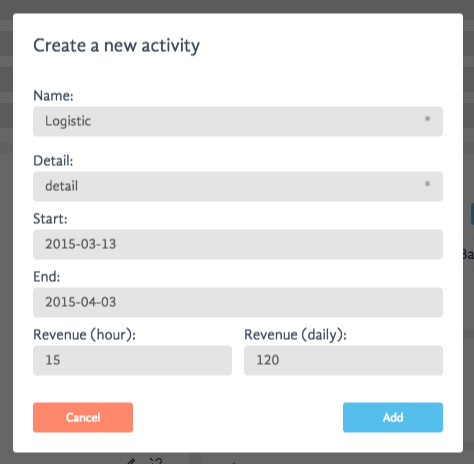 In order to manage better tasks, it is possible to define hourly and daily revenue. 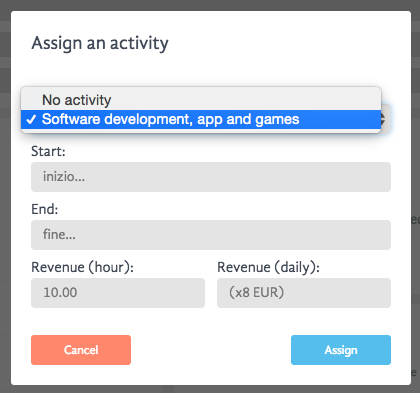 An task can be created for a certain employee in the section "Employees", and in this case, the specific task will be assigned to a specific user. Otherwise, it is possible to company's tasks in the section "Company" and assign them to a specific user from the section "Employees". Each task and its costs / revenues can be followed from the section "Performance" where it is possible to control the success of a certain task/project by using different default charts or creating a custom one.